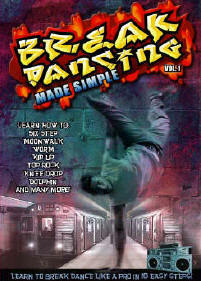 Learn How to Break Dance. The how to breakdance video that teaches you breakdance moves. "Pavan has some incredible break dancing skills. He has really helped me out learning both basic and advanced moves"
"I have always wanted to learn how to break and decided to take Pavan's course. It has been really great and I have learned a ton of great stuff." "I have had a great experience with the program which has been both challenging and fun"
"Pavan is a fantastic instructor and pays enormous attention to detail." AVAN THIMMAIAH a native New Yorker, has choreographed for commercials and the fashion industry, including for Miss USA pageant models, Ebony magazine models, and me. He has been featured in numerous magazines and newspapers, headed dance seminars across the east coast, and short film documentaries. He has performed and choreographed for a number of venues and events, including choreographing and performing in an opening number for the Bollywood International Movie Awards where he was the featured performer. Pavan has choreographed for the Miss America State Pageants as well training and choreographing for new artists, and performing in shows and concerts with the likes of Apache Indian and Sean Paul. Currently, Pavan is choreographing for new artists from various record labels. He has been asked to perform as an honoree in July on TV Asia for TV Asia Mela, held by United Cultures. He is also continuing to teach and expand the Hip Hop dance curriculum at NYU, PMT Dance Studio, Peridance and Ballet Arts. While break dancing is no doubt one of the most challenging forms of dance to learn, it is also the most exciting to perform. Nothing turns more heads at a party or even a nightclub like a skilled breaker! 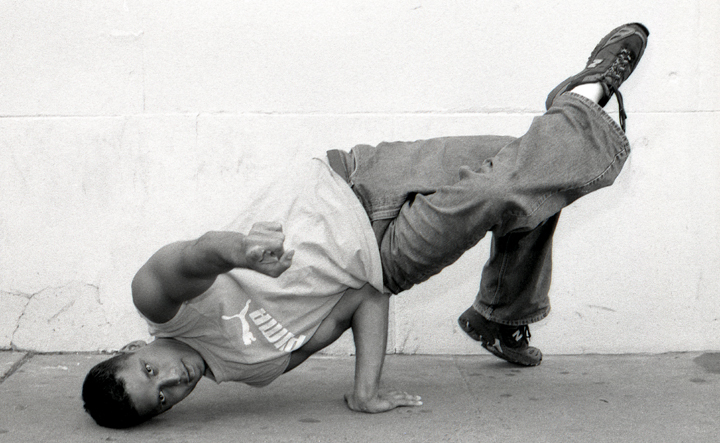 Break dancing brings automatic respect and credibility to anyone who can do it right. Its a great way to move to the energy and rhythm of the song. It doesnt matter if you danced before, if you are black, white, male or female, you can break dance. Break dancing is so amazing to watch that people will give you respect on the dance floor. In addition, its a great way to get in shape. Break dance takes a lot of balance, body strength, and cardiovascular strength. For the novice or person just dancing for leisure, you can learn it and show it off to your friends or simply to just have fun. For the professional, you can really offer more as a dancer/performer, especially in todays competitive dance world. You are going to quickly learn the insider secrets on how to master the art of Break Dancing in painless simple steps while gaining incredible confidence to take center stage on the dance floor. If you have never purchased an instructional break dancing book or video then don't. Learn from the unfortunate few who already have done so and realized how poorly the majority of instructional products currently on the market truly are. "Completely amateur quality. The tape looked as though it was filmed in a basement with the guys camcorder and had been copied 4 or 5 times over." "It was very difficult to follow. The video moved so fast through the moves that I was lost after the first 5 minutes"
"Learning to break dance from a book is virtually impossible. It was a complete waste of money"
"All I was looking for was clear and easy instruction that would get me down on the mat quickly. All I got was another hype tape with a guy showing off his stuff." What was most surprising in evaluating the current products on the market was the instructors complete lack of either teaching or performance experience or in some case BOTH! Learn why you WILL NEVER learn to Break Dance correctly unless you avoid the critical mistake made by novice and experienced Break Dancers alike. The exact order you MUST learn the various moves in order to be a successful breaker. How to look like you have been Break Dancing for years after only a few short lessons! The three best kept secrets of the worlds best Break Dancers. Why it is impossible to learn to break dance correctly from instructors who don't posses both extensive performance and teaching experience. moves at your pace and does not get in front of you. uses super slow motion to break down each move second by second making it virtually impossible to miss a motion. produced in crystal clear digital audio and video to make viewing an absolute pleasure. generates the kind of enthusiasm that makes learning to break an absolute blast! Stop Wasting Your Time With Poor Quality Products and Start Break Dancing Tomorrow! "Pavan is a wonderful teacher who inspires you to constantly improve. His program is simply a great time." "Using Pavan's program to learn to break dance was one of the greatest this I have done in a very long time. He really breaks it down nice and simple while working you very hard. I would highly recommend the program to everyone"
"I have utilized Pavan's program and found it to be really fun and effective"
"I actually wanted to show off my newly learned moves to some friend while walking down a New York City street. While busting the moves on the sidewalk, a perfect stranger walks by and actually throws down some money as a tip. My first money earned as a dancer! We have spared no expense in producing this program to make it by far the best available break dance instructional product on the market guaranteed! Plus as and ADDED BONUS, I will share with you my secrets on how to move parts of your body and make learning to break a breeze! Before you can start breaking like a pro, you need how to learn hot to move your body. Section 1 covers how to isolate each muscle group. The first think anything any b-boy need to learn is top rocking. It is essentially grooving to the music. Up rocking is top rocking between two people. Sort of like a kung fu battle. Made famous by Michael Jackson, we show you how to do it with ease. This is one of the most basic but most used moves in break dancing. From the up rock, you can go into a knee drop moves which ads flare to your break routine. In order to be good at the dolphin, you must follow our special routine of mastering the hand stand. Another popular break move that always turns heads on the street on in the clubs. Get up off the floor with style with this amazing move that we make easy to learn. This the one of the best ways to end a routine if you know how to do it right. I insist that you order Break Dancing Made Simple entirely at my risk. Thats why this collection comes with a Risk-Free, 1 Year 100% Money-Back Guarantee. Theres absolutely NO RISK on your part. Why am I going to such great lengths? Even though Ive been in business for many years, I want you to feel absolutely certain theres no way you can "get taken." After all, Im a respected dancer and my reputation is on the line. So go ahead and order my innovative dance program today. View it use it, and and start becoming the center of attention. If you can't start breaking like a pro after following my ten simple steps  you can return the program for an immediate 100% refund of your purchase price. Now let me take this guarantee one step further. Don't feel like you must "use" my techniques in order to get a refund. If you don't like the collection for ANY reason  even because you dont like the cover of the box  you can return it for an immediate 100% refund of your purchase price. And remember, this is a FULL ONE YEAR GUARANTEE! Youre free to return it next month, or in a year..
Click Here to Order Now. For a Limited Time, the DVD/VHS Video is On Sale for only $19.99 (Reg. Price $24.99). Click here to print out an order form to mail or fax your order. Simply print this order form out and send it along with your payment. I look forward to getting a letter from you, telling me about your incredible success and new found popularity on the dance floor. Even though I get an enormous amount of mail, please write to me. Id love to hear your success story!